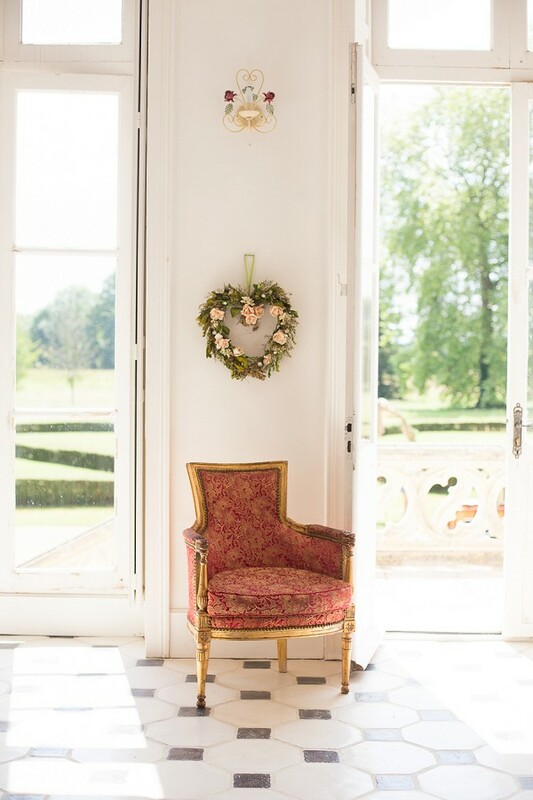 Hello lovelies, we hope you had a lovely weekend. Today we are heading over to the northern region of France for a Chateau Wedding in Normandy, which is known for its coastline of varied beaches and white-chalk cliffs. 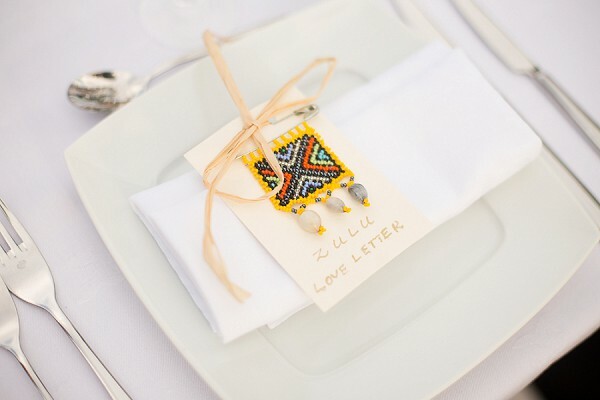 Are you planning a destination wedding like today’s lovely bride and groom? 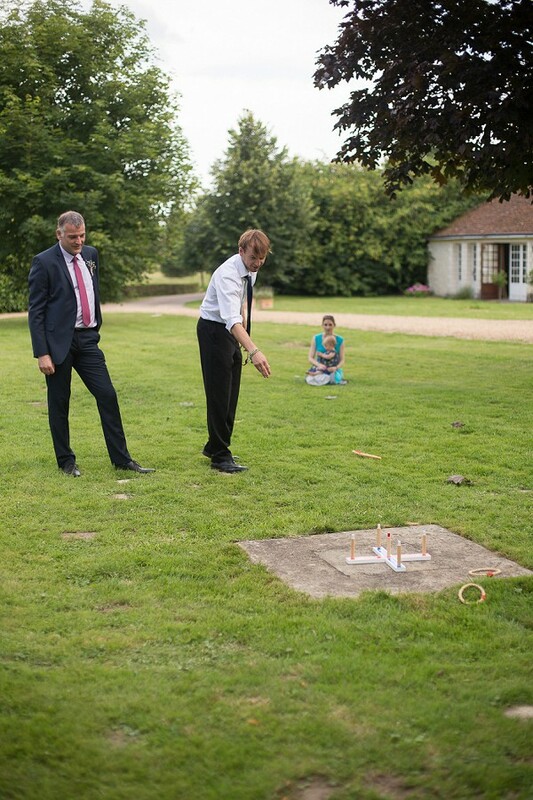 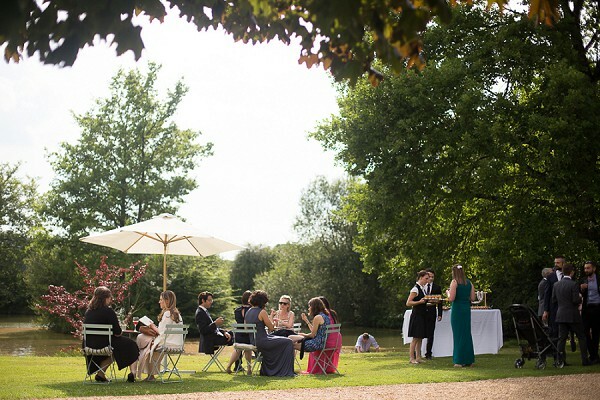 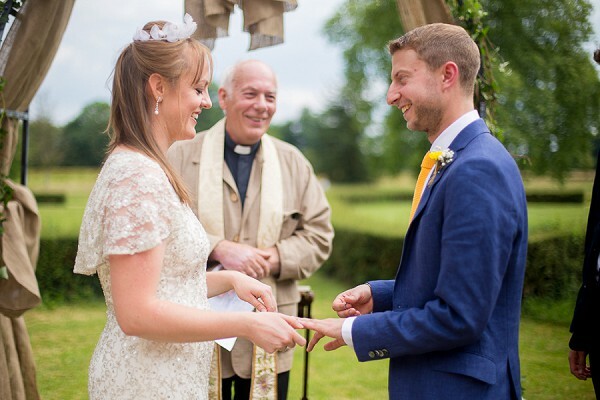 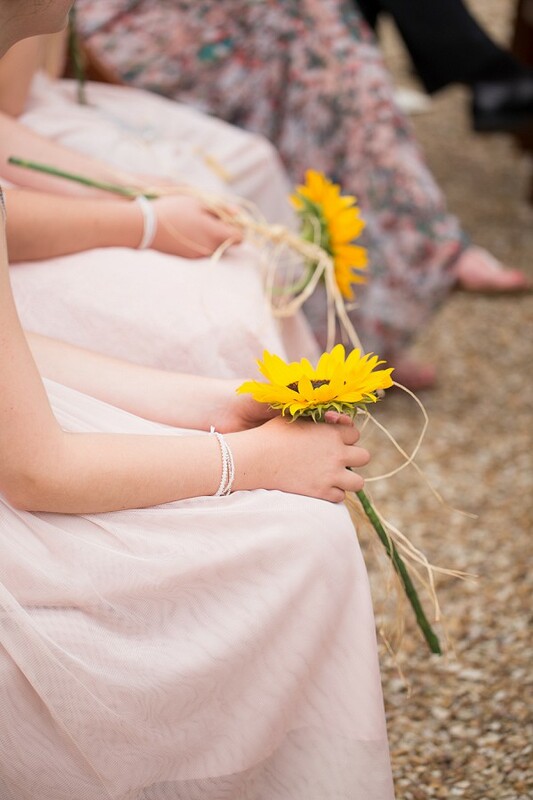 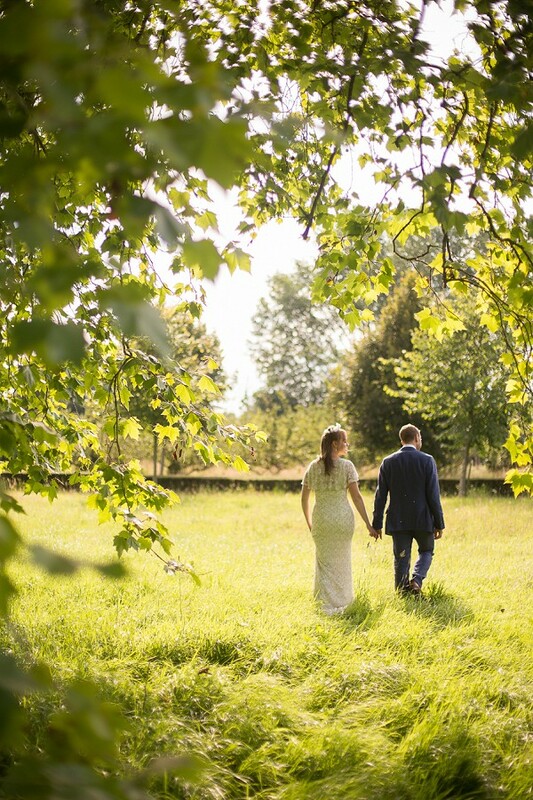 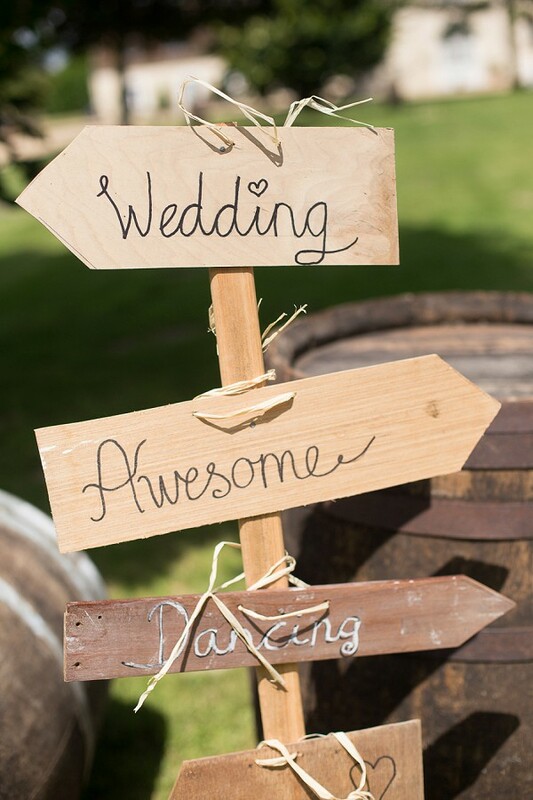 Have you considered prolonging the celebrations with a weekend wedding? 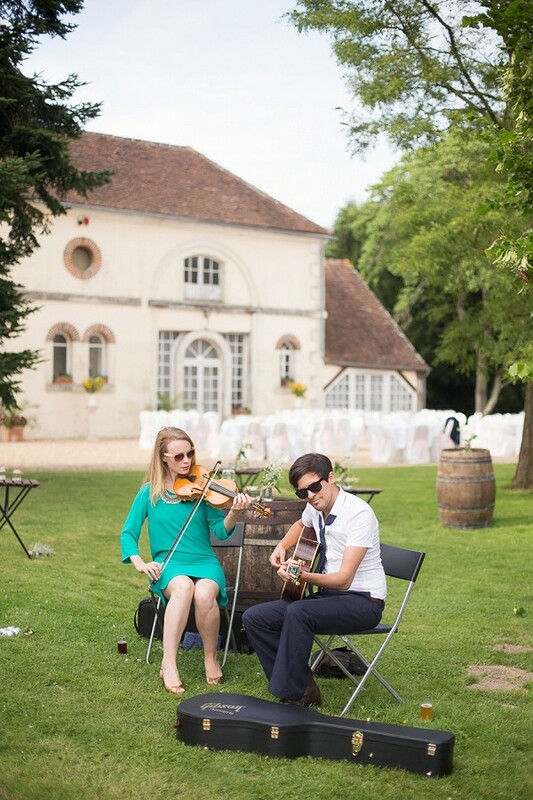 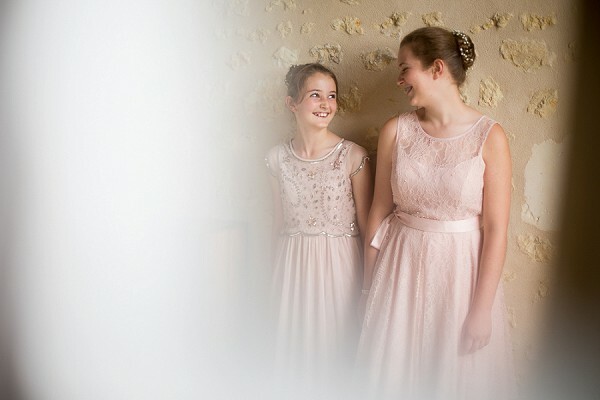 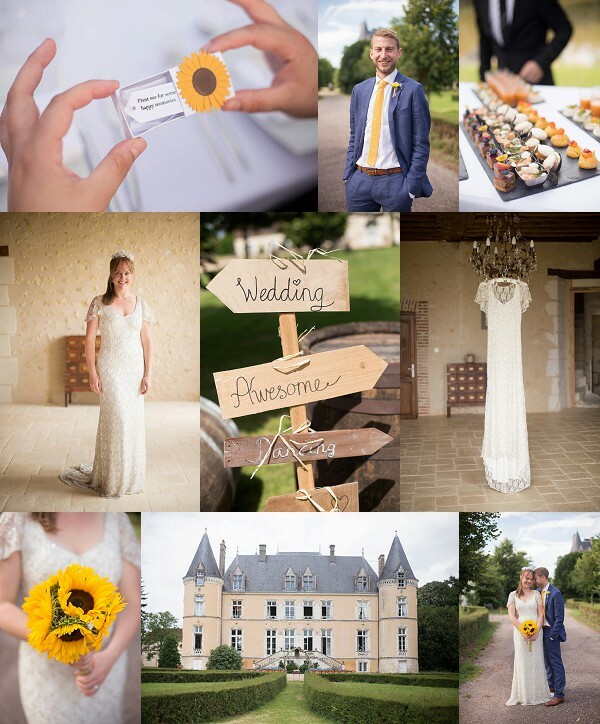 Lauren and Neil tied the knot at the stunning Chateau de Blavou in Normandy. 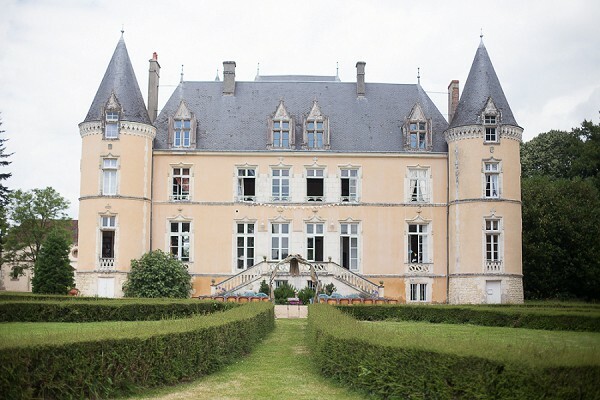 They rented out the Chateau for a week long holiday for themselves and their closest family members, such a wonderful way of spreading out the celebrations and who wouldn’t want to live in a beautiful French Chateau for a week! 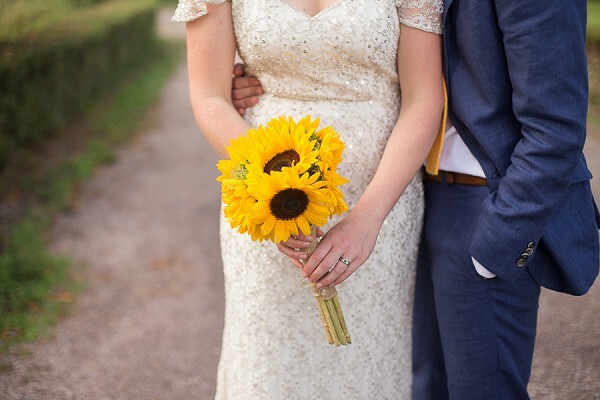 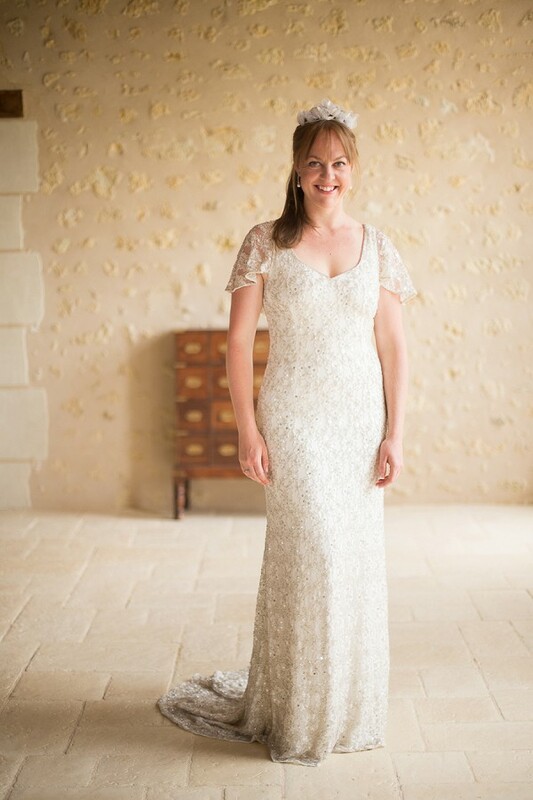 Lauren wore a stunning Phase Eight wedding gown with beautiful sequin cap sleeves. 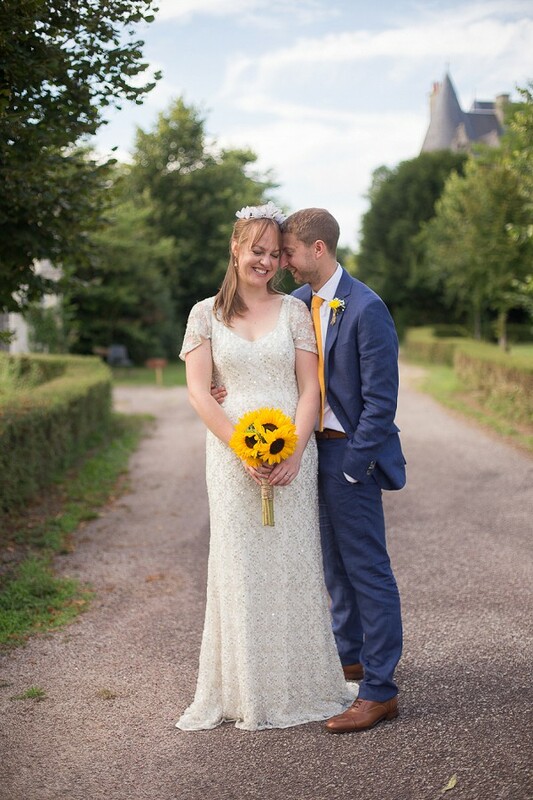 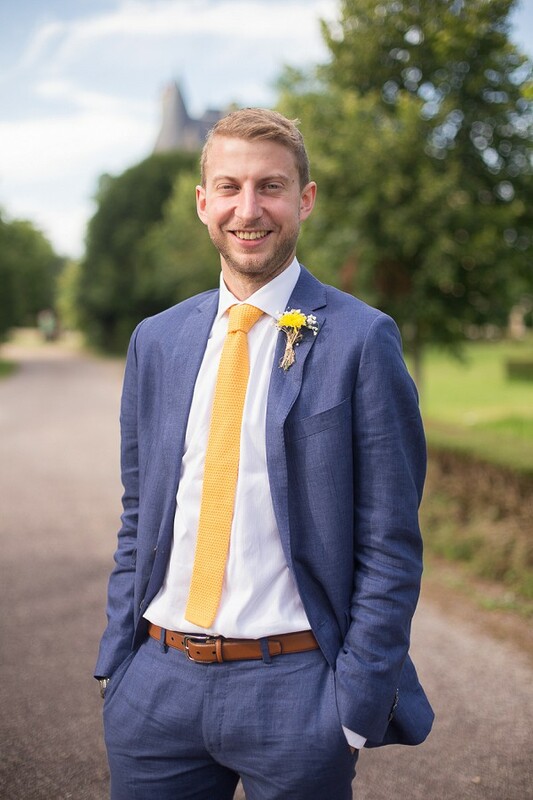 Neil looked very dapper in his navy blue suit from Banana Republic finished off with a mustard yellow tie from Charles Tyrwitt which perfectly complimented their sunflower theme. 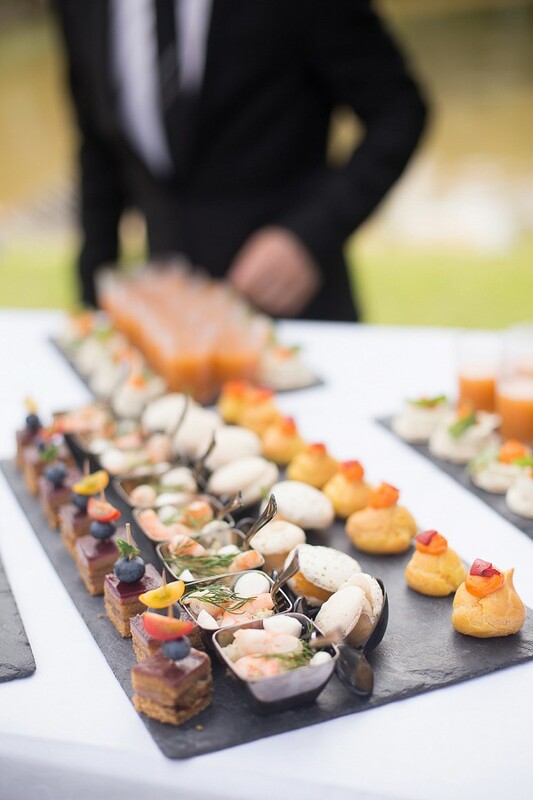 With the help of the Chateau owners, Lauren and Neil chose caterer Freddy Pommier of Hotel Tribunal who supplied these delicious canapes, the perfect appetisers for their guests. 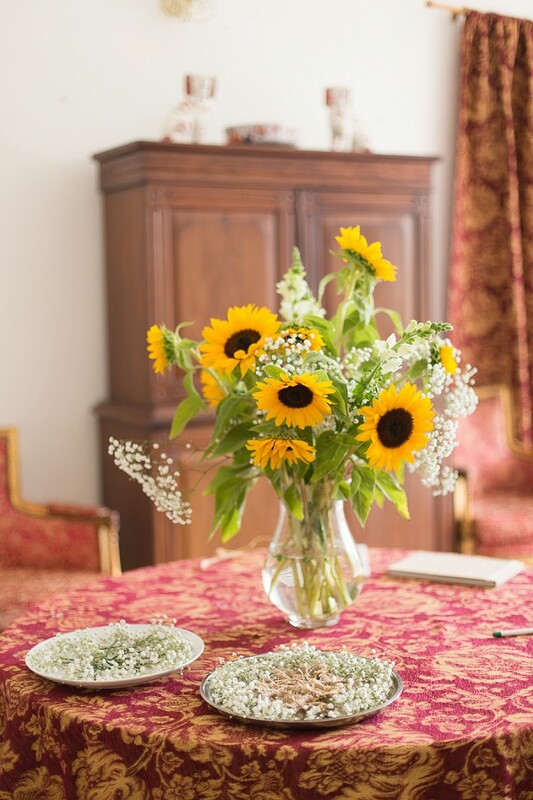 I’m sure they tasted as wonderful as they look! 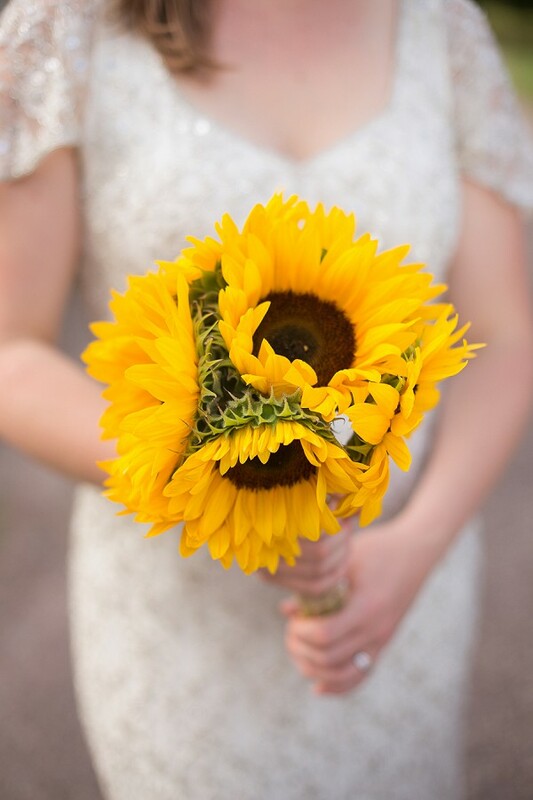 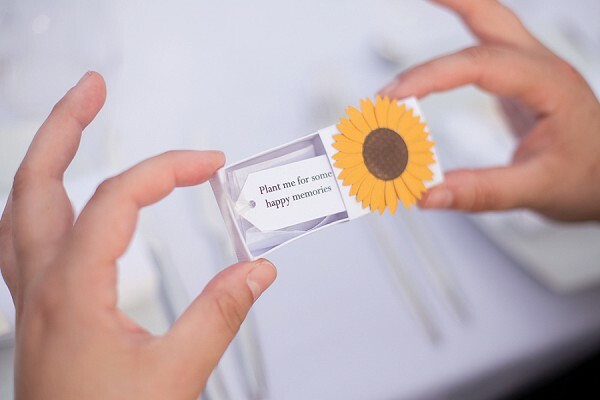 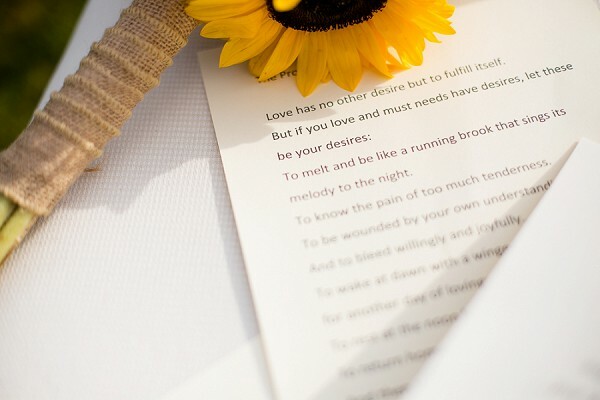 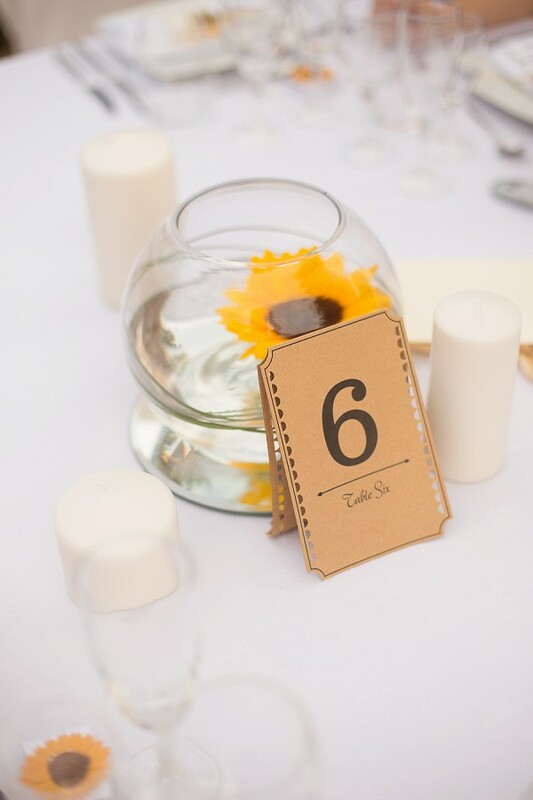 I love these sweet favors, such a cute touch and perfectly in-keeping with Lauren and Neil’s sunflower wedding theme. 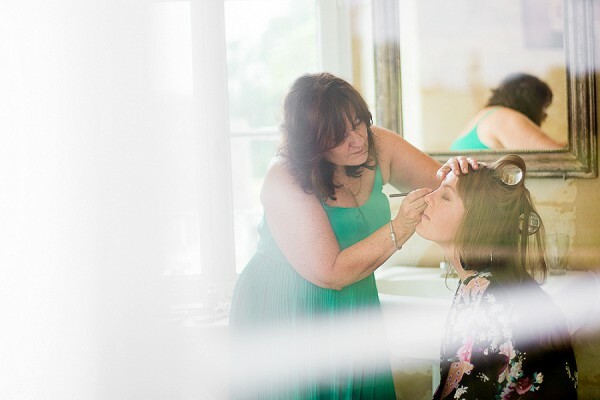 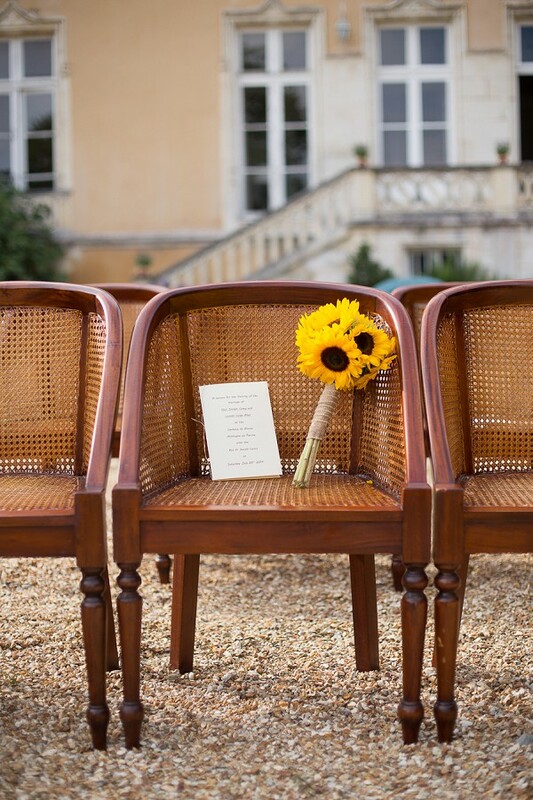 When you spend months planning your big day I can’t think of a better idea than prolonging the celebrations, be that a week long holiday at your wedding destination, a trip to the beach with your guests the next day, or a weekend wedding whereby you plan the events over a few days rather than just one. 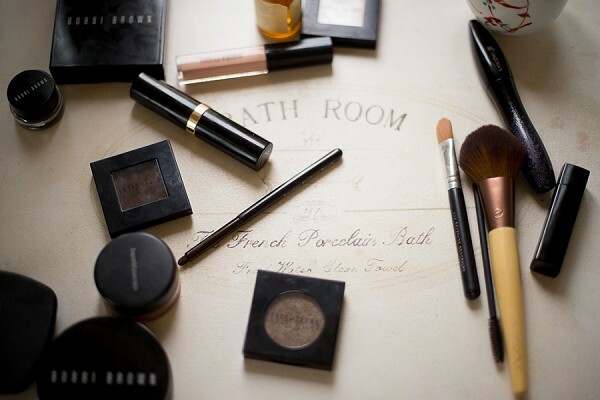 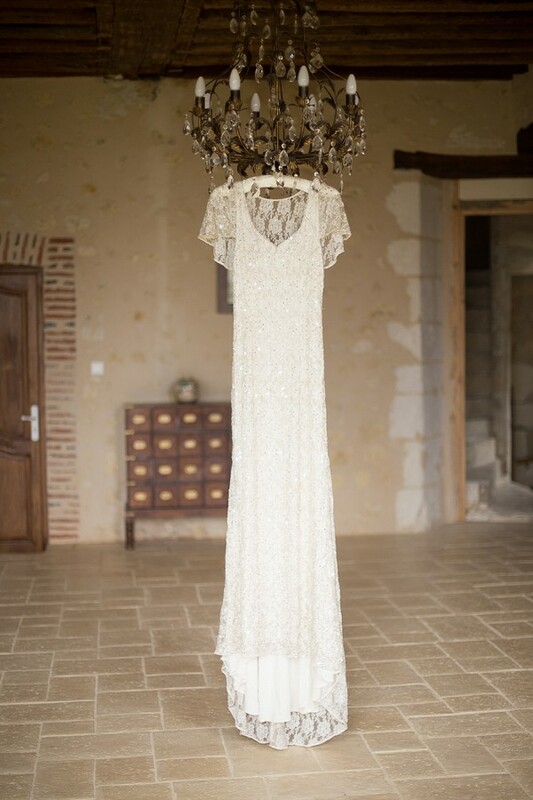 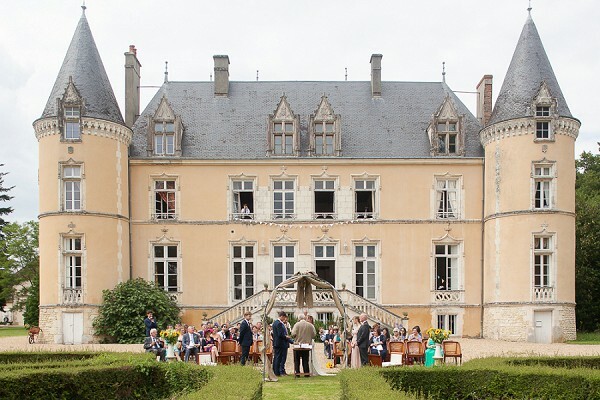 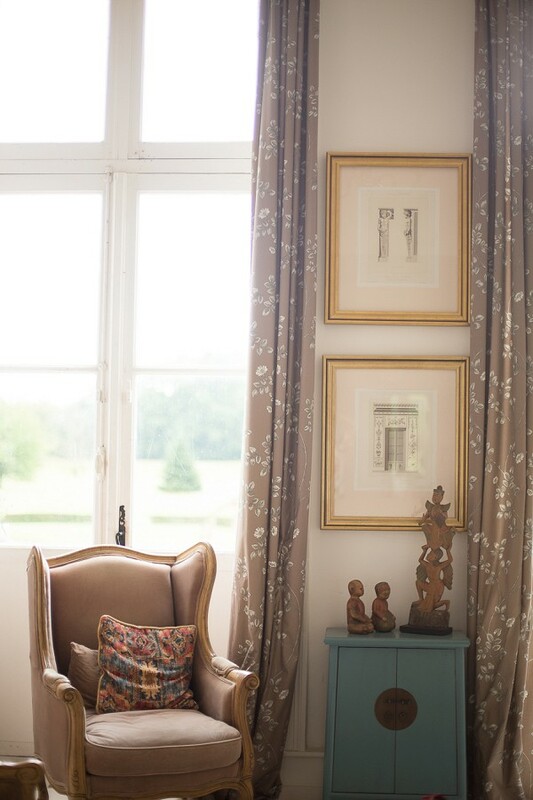 If you are planning a Chateau wedding you will find even more wonderful inspiration here. 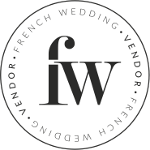 Thanks so much for featuring us as a supplier in your post, is it okay to share the images on our social media? 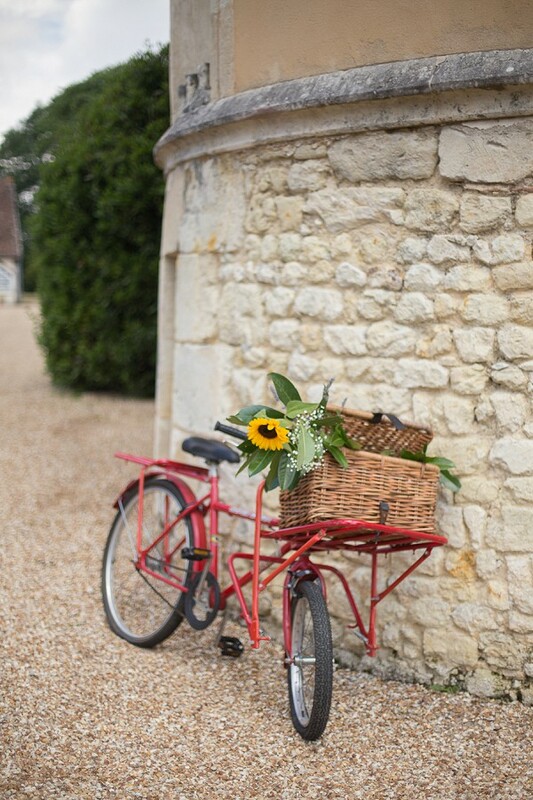 Can I check if the picnic basket on the bike is from us?